Director of Photography Angelica Perez, of “Divide and Conquer”; Director/Producer Doneliea Williams, of Arts Acrylics Studios of Atlanta and Production Supervisor Ryan Castillo, of Tytan Pictures, catch the light shining in through barred windows at the prison studio in Eatonton. 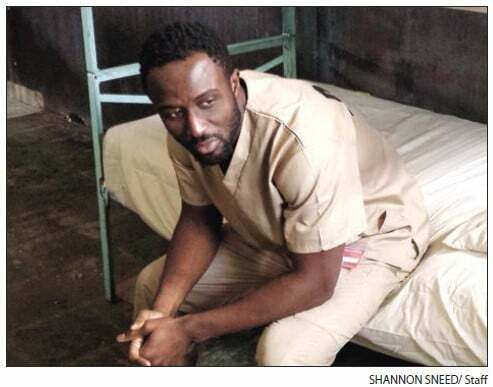 Atlanta filmmakers, Director/Producer Doneliea Williams and actor/Producer Olumubia Obu recently shot scenes at Tytan Studios’ prison location for a faith-based movie. Produced by Arts Acrylics Studios of Atlanta, Williams directs the movie, which features Obu along with Angel Ortiz and Bryan Terry Snell. Angelica Perez is the director of photography. Actor/Producer Olumubia Obu sits in a prison cell at Tytan Studios before cameras begin to roll on the next scene. 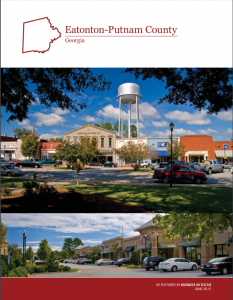 The Atlanta based producer is filming a movie titled “Divide and Conquer” at the local studio. The three brothers inherit the family business after their father passes away, leading the new Christian into a struggle with family pressure, lifestyle and morality. “The whole thing also sheds light on the Nigerian culture,” Obu said, noting the movie was originally written as a short film and although he had a concept for a movie, he might have to do it some other time. “Then I told Don about it and he (Don) said he can do it,” Obu said. Williams noted that they “stepped out on faith” and visited the Eatonton facility to find out if it was a right fit for the production. “We took it on faith that this was right and took that one and half hour drive here,” Obu added. “We came out and Jim (Stone, Tytan CEO) really believed in us and gave us an opportunity,” Williams said. 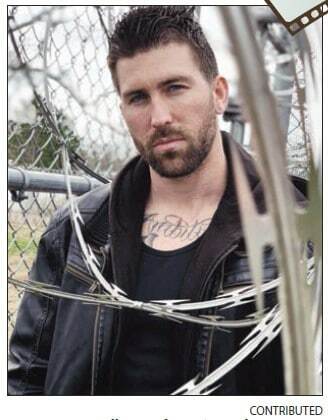 Bryan Terry Snell poses for a picture between filming movie scenes at Tytan Studios’ prison location. Obu said the vision for the film was his most valuable resource. 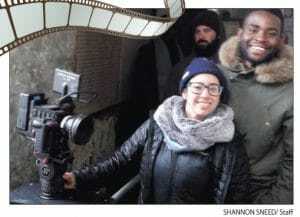 Williams saw that vision, too, he noted, and brought along a crew of positive people to make the movie happen.